Some characters look similar. A list of those characters can be found below. 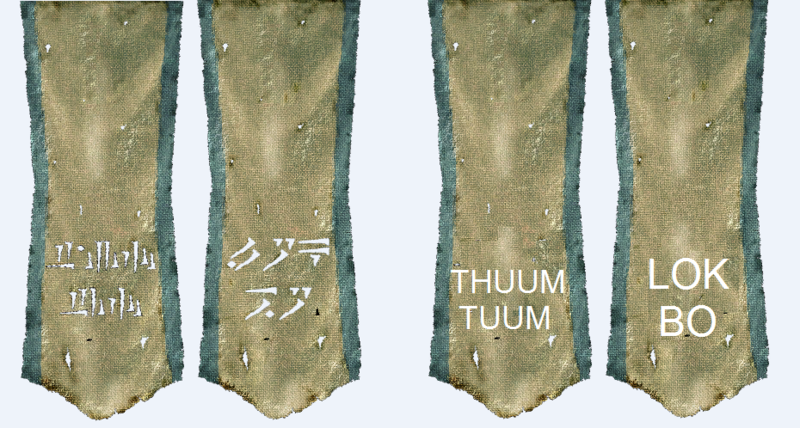 The ancient alphabet of the Dragons appears in multiple places throughout TESV: Skyrim, most notably the ancient Nordic Word Walls that dot Skyrim’s landscape. The alphabet also appears in Dragon Language: Myth no More by Hela Thrice-Versed, on the Dragon Stone in Bleak Falls Barrow, and on the banners that hang throughout the halls of High Hrothgar. When using “Dragon Font”, typing in numbers translates to the following special symbols on the character map. Typing in “0”, however, results in an unknown symbol to appear. For some reason the developers assigned “0” a symbol, but never gave that symbol a translation.